Getting the fear of death for a moment and then just going ahead with day to day life is not easy. This is what i experienced day before yesterday. I was walking to school to pickup my son. I carefully watched for the vehicles and started crossing a junction. a police car which just passed through, took a reverse and hit me! BANG! I was clueless and fell down. i thought, everything is over and my main thought at that moment was, what happens to my son without me..writing these lines makes me nervous again. Luckily someone(Thank You my Life Saver)shouted and the Police Car(Innova) stopped. Fortunately I escaped with just small scratches on my feet! The force at the Innova hit me, shocked me to the core. My heart was racing like anything. I even questioned the cop on how he took reverse. Police person apologized, got me some water and dropped me at school. It took almost a day to get back to normal. Lessons Learned: Life and Time is Precious. and most importantly to be Very Cautious in crossing roads. 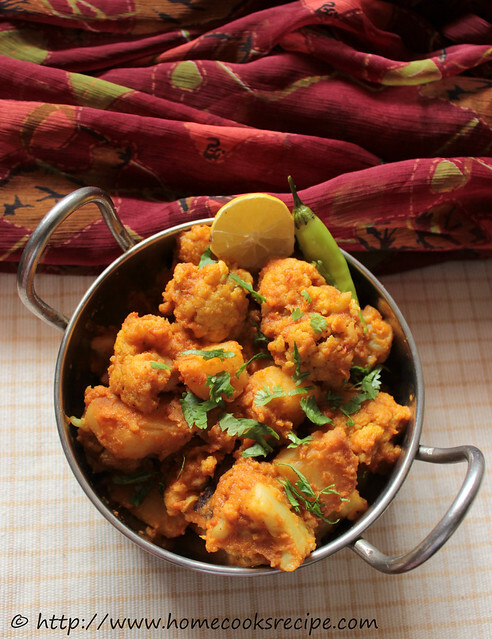 Aloo Gobi is a favorite combination for many. 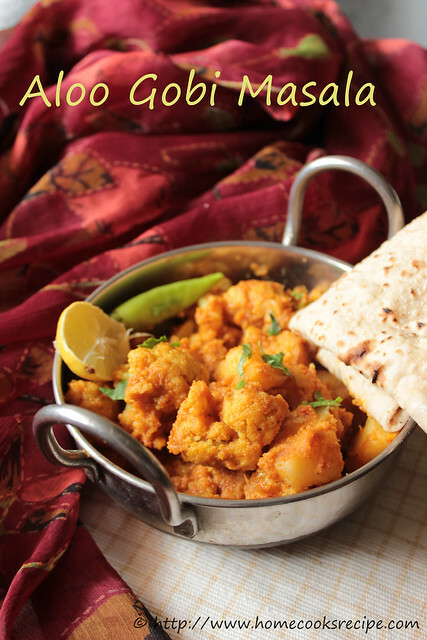 Yesterday i tried aloo gobi masala for a change. it came out finger lickingly delicious. I made chapathi and cabbage rice for lunch. 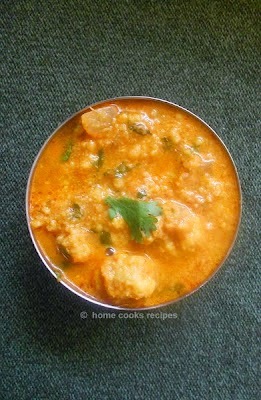 this aloo gobi masala went very well with cabbage rice. so it will go well with vegetable pulao or with cumin rice. Peel the skin of potatoes and chop them into big chunks. clean the cauliflower florets and wash in cold water for 2 or 3 times. Just chop the onions and grind into a smooth paste and set aside. chop the tomatoes and grind into a smooth puree and set aside. Heat a pan, add 1 tbsp oil, add the chopped potatoes and shallow fry it for almost 5-7 minutes in medium flame, till the potatoes get roasted well. Boil 2 cup's of water, add the cauliflower florets to it. let it boil for 3 - 4 minutes and drain the water. set the potatoes and cauliflower aside. Heat another pan, add 1 tbsp of oil, add cinnamon and cloves. to the pan, first add the grounded onion paste and saute for about 2-3 minutes, till the raw smell of the onion goes off. 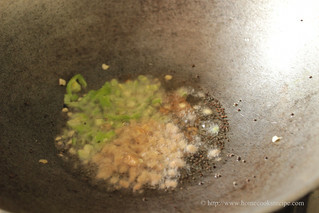 then add ginger garlic paste and saute for another one minute. Next add the tomato puree and mix well with the onions. Add turmeric powder, chilly powder, corriander powder and garam masala. Mix well all together in the pan. let it cook for 2 more minutes, till they become little dry. 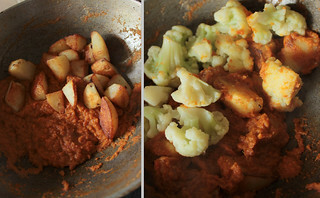 Now add the shallow fried potatoes and blanched cauliflower to the pan and mix well with the masala. 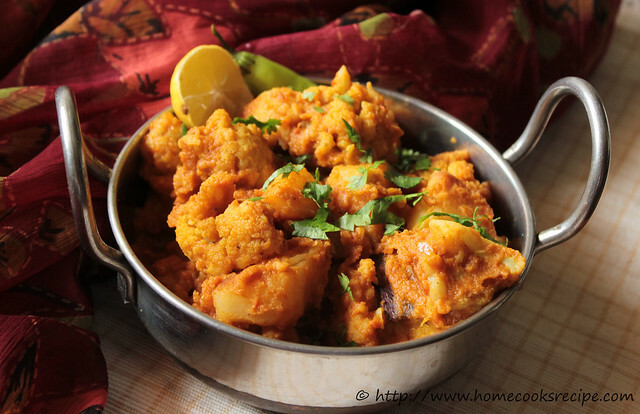 Finally add chopped corriander leaves and transfer the aloo gobi masala to a serving bowl. 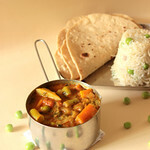 Serve with Cumin rice or veg pulao or with roti or chapathi. If you want the masala to be like gravy add very little water and let it boil. 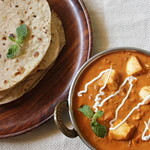 You can also add 1 tsp of fresh cream, to make the masala rich. I always cook vazhakkai roast and vazhakkai kuzhambu. For a change i wanted to try podimas recipe. i have already made potato podimas and we like it lot. 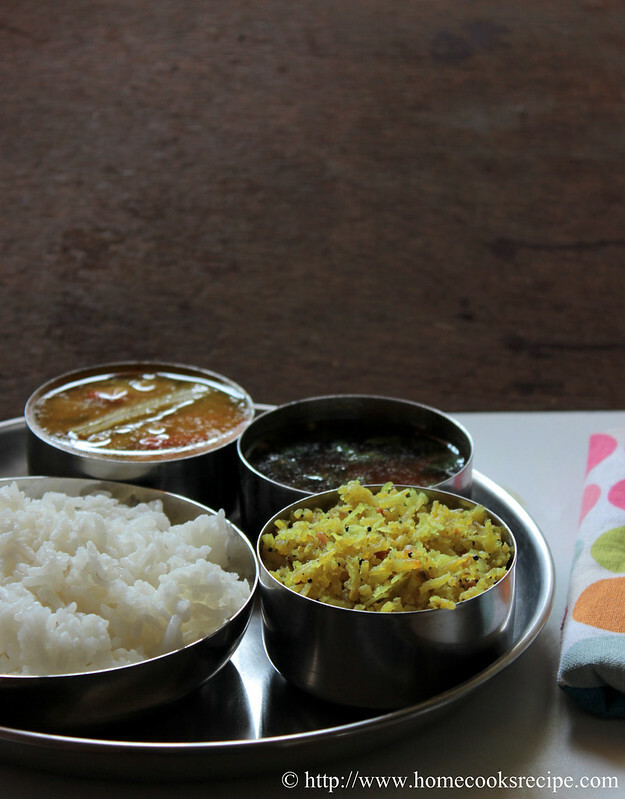 As i pack lunch for my hubby and to my son, cooking a proper meal with sambhar, rasam and poriyal are shifted to weekends as pulao,chapathi and sabzi took over on weekdays. Pressure cook the raw banana for up to 2 whistles exactly. Remove the skin and Grate it and set aside. 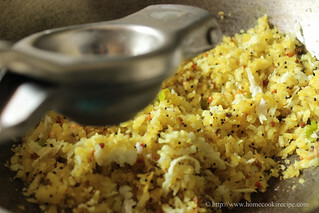 In a Pan, heat oil, add mustard and let it splutter, add urad dal and let it turn into golden color. then add finely chopped green chilly and ginger to the pan and roast. 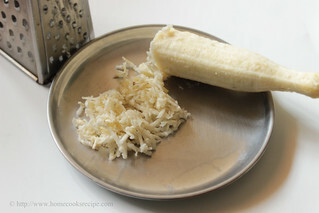 Then add the grated raw banana to the pan and mix well. 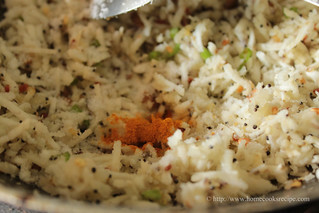 Add add the grated coconut and give a mix. Finally add 1/2 tsp of lemon juice and mix. garnish with curry leaves and corriander leaves. Transfer the podimas to a serving bowl. Picture clicked by my Son!!! He himself asked me a plate and kept all these bowls and shot it! 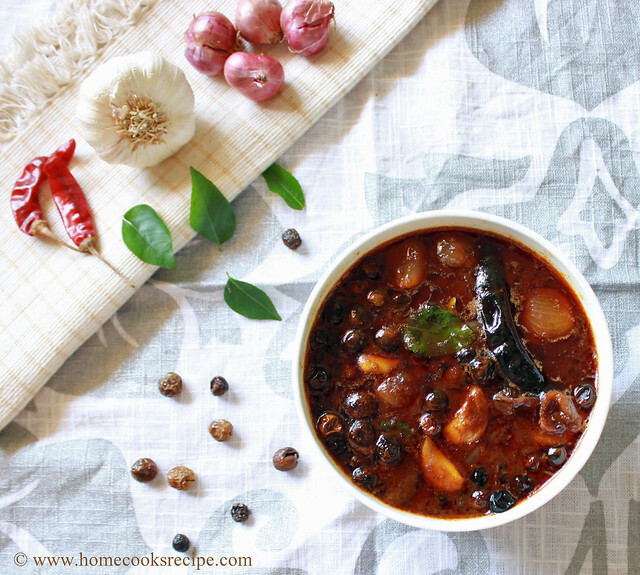 Serve along with rice, sambhar and rasam. 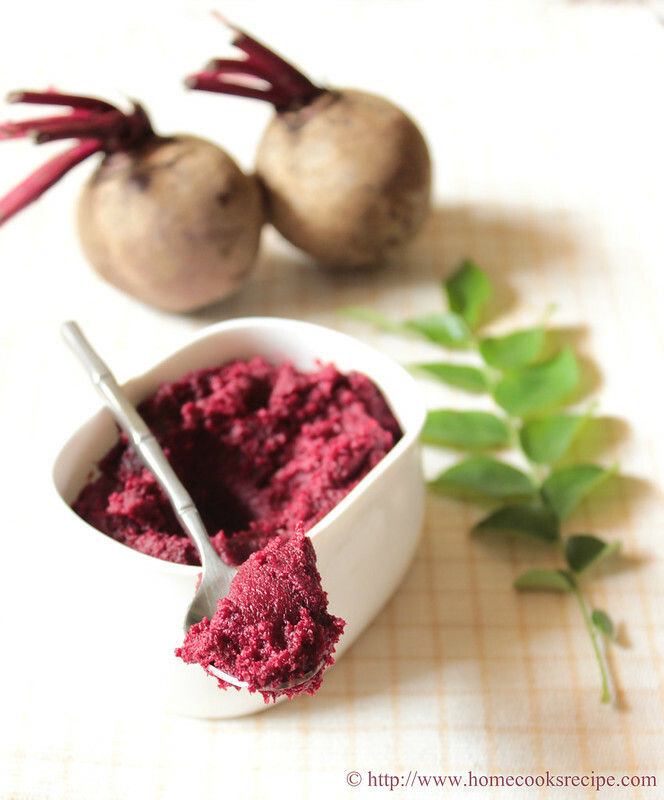 I love to eat beetroot either in pachadi or in kootu. i hate to cook stir fry with it. somehow i never liked the bland taste in it. when my friend suggested me to try this thuvayal recipe. i tried and liked it very much. 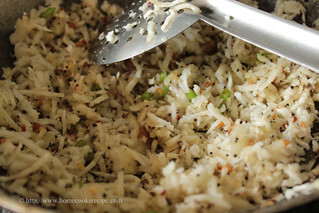 i like to eat my thuvayal mixed with rice. 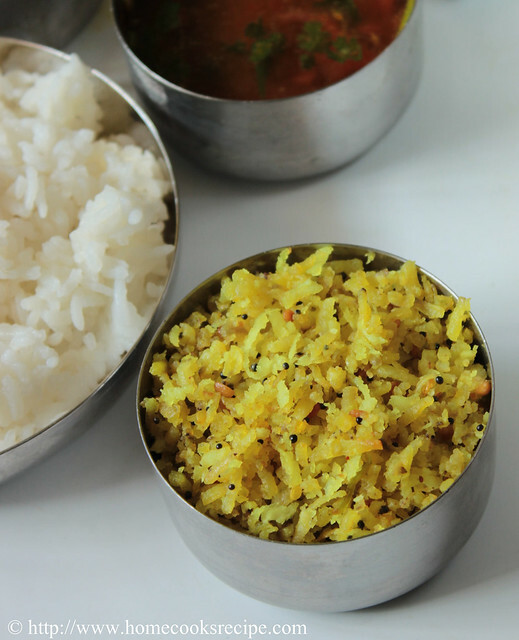 also like to have as a side to rasam rice. do try this, if you like spicy thuvayal. Wash the beetroot and peel the skin. 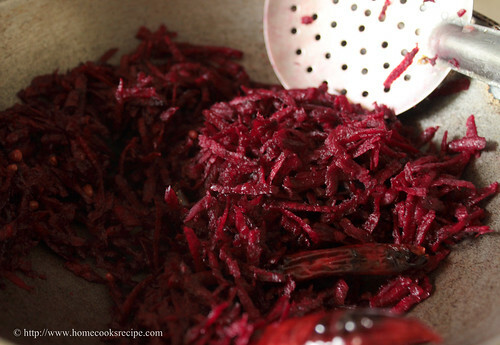 Grate the beetroot and set it aside. 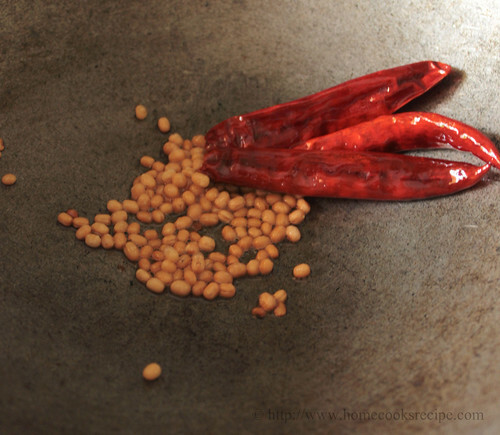 In a pan, add 1/2 tsp of oil, then add in the urad dal and dry red chilly. saute it, till the urad dal turns into golden color. Next add in the grated beetroot to the pan and saute till it becomes soft. it takes at least 5-7 mins for the beetroot to get soft. add little bit of salt, which will help to cook the beets fast. 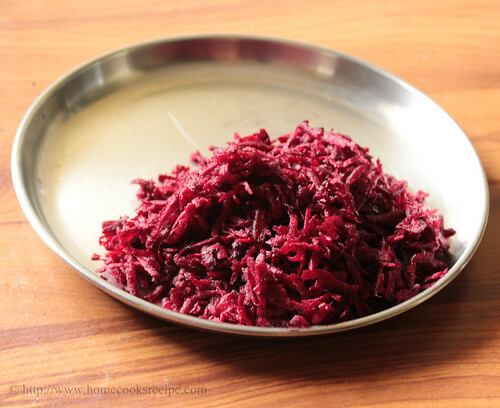 Cool the sauteed beetroot. 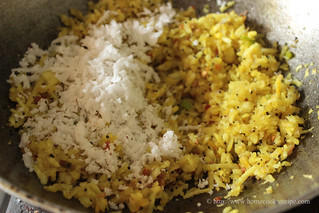 then transfer it to your mixer jar and add a bit of tamarind and 1 tbsp of grated coconut and grind it coarsely. 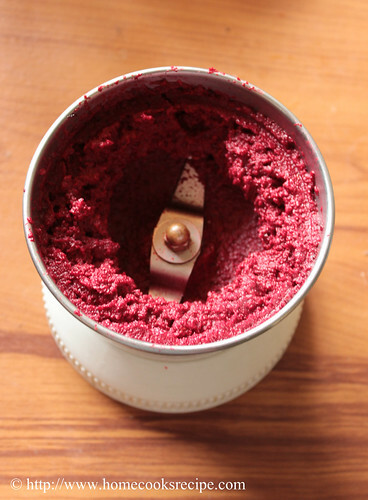 add 2 or 3 tsp's of water and grind into a fine paste. 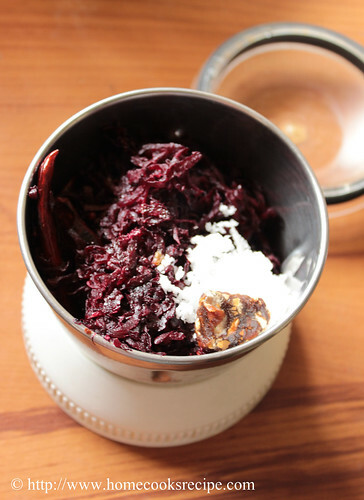 Heat a pan, add 2 tsp's of oil and add the grounded beetroot chutney. check for salt and add sufficient salt and saute till the chutney becomes thick. it takes 2 minutes. transfer the chutney to a serving bowl. 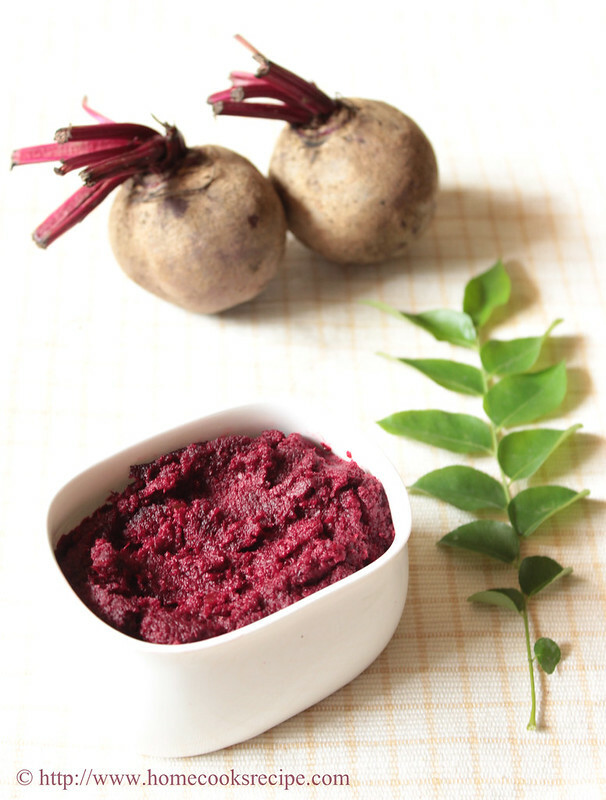 Serve the beetroot thuvayal with rice, rasam and appalam. Increase tamarind and red chilly according to your taste. adding 3 red chilly will give you a mild spicy thuvayal. This year, my son is going crazy over mangoes. he cried for half a day, when mangoes were plucked from the mango tree opposite to our apartment, as he wanted all for him! 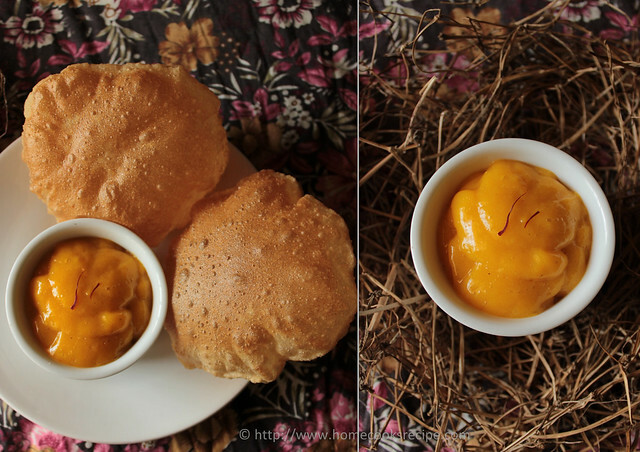 Last week, our friend brought her home grown Rumani mangoes for us. 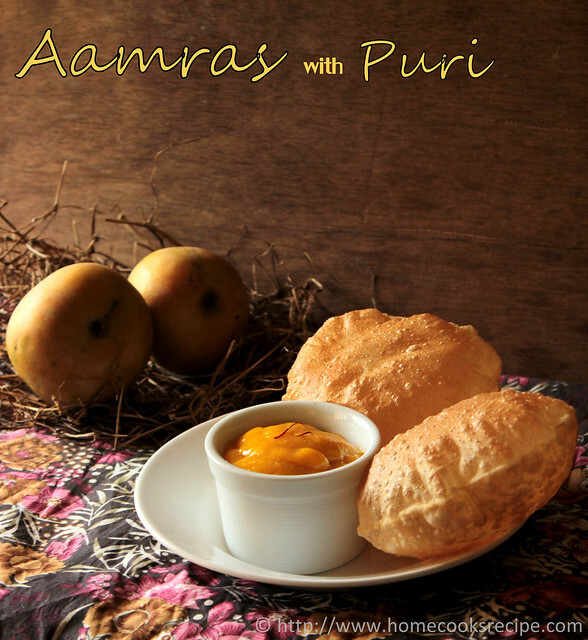 The very next day, i prepared this aamras and enjoyed it to the core with puri. 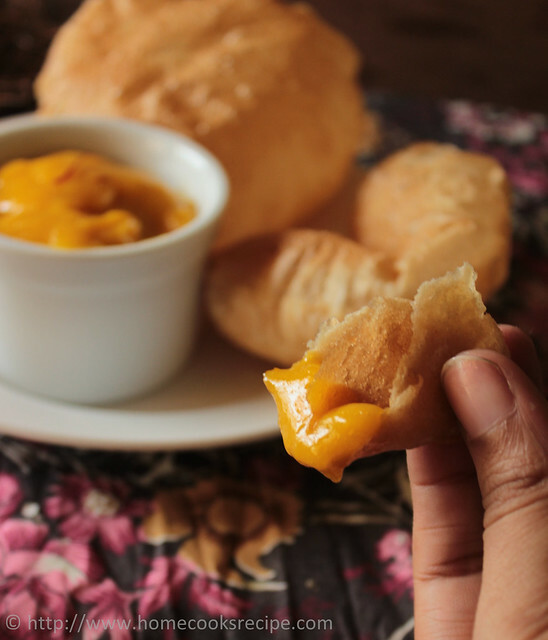 definetly this is the best way to treat mango lovers! This recipe is easy and simple, it can be said in one line. i clicked lots of pictures out of love for mangoes. kindly bare with me. also i hope mango lovers would enjoy the pictures here! Wash the mango and peel its skin. cut it into pieces. discard the seed. To your mixie jar, add the chopped mangoes, cardamom seeds, saffron and sugar. add milk, if you wish. i skipped adding milk. grind all together till you get a fine and smooth aamras. 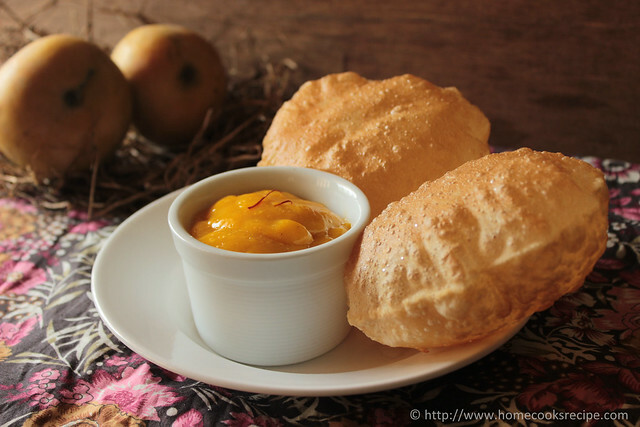 Serve with puri and enjoy the mango delight! if serving later, store in fridge. it tastes even better, when chilled. 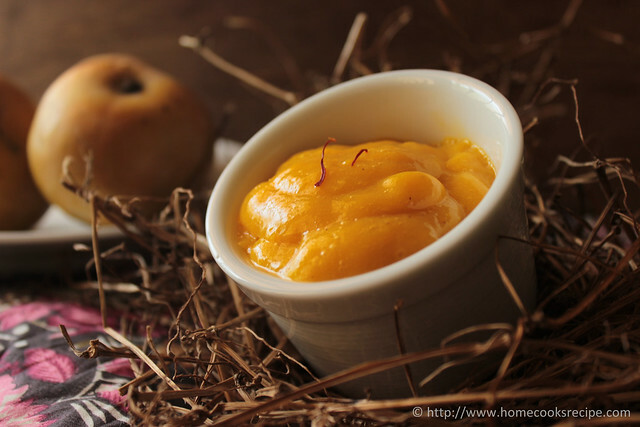 It is said that, 1/4 tsp of dry ginger powder is added to the aamras in maharashtra. 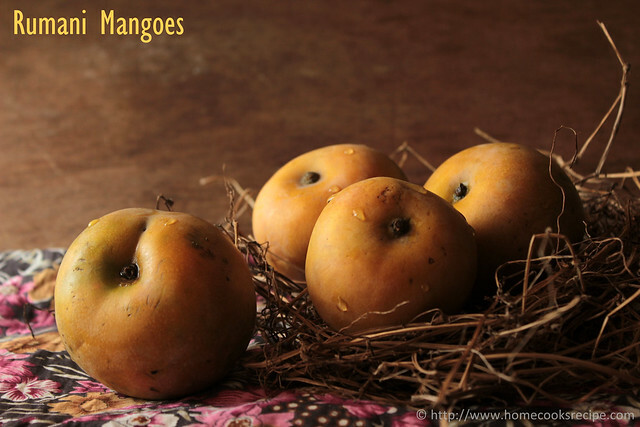 Use fully ripened mango and i guess only few varieties of mangoes work well for aamras.